Progress has been made this summer on the replacement No1 engine, but often lost or missing parts have been a constant source of frustration. 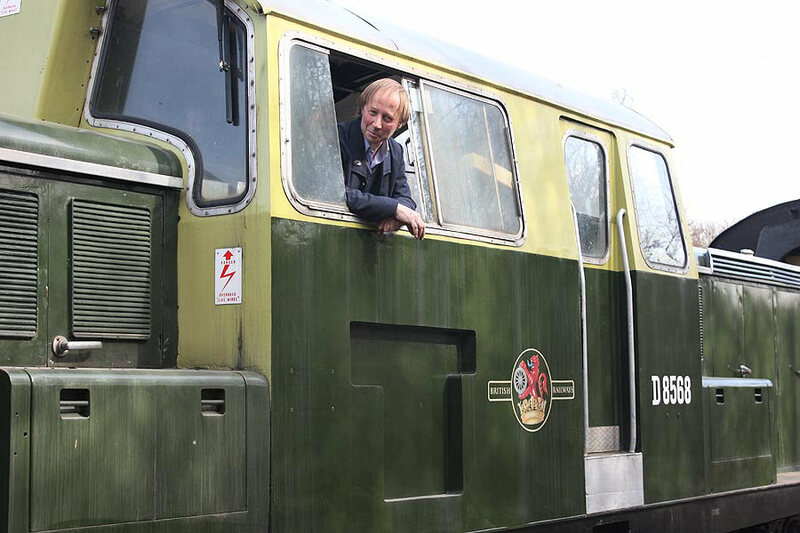 2012 has seen the replacement of some of the electrical terminal boxes attached to the underside of the the bonnet, renewal of rotted out flexible harnesses that connect the loco to components on the engine such as pressure & temperature switches. 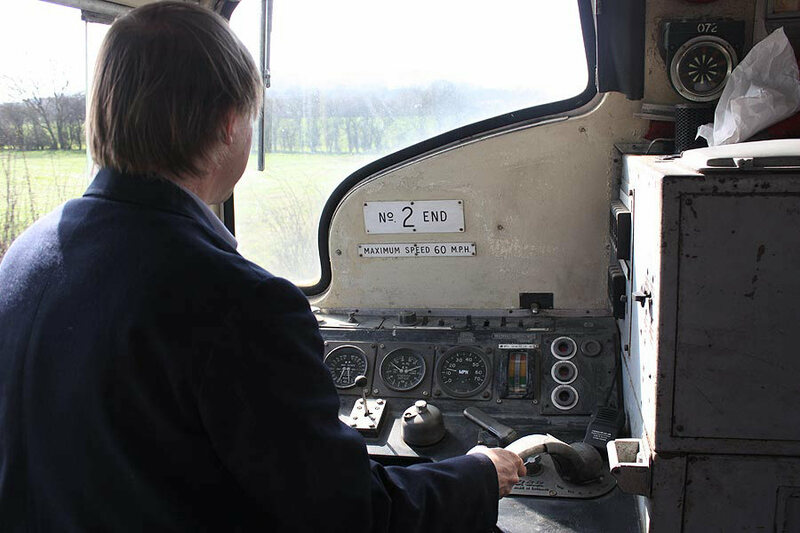 The new engine has required quite a bit of work to re configure back to a traction application, much equipment had been hacked off and dumped when it was converted to an alternator set. The coolant level switch was another component that has taken much time and effort to sort out. A beautifully DTG workshop overhauled and painted mercury switch assembly had been at ready for use but when unpacked the float and mechanism was missing. The remedy was to cannibalise some of the mechanism from a fuel level gauge by the same manufacturer and the good news is the construction of a bespoke float arm has just been completed. What remains to be done before we consider running this engine is fit the previously mentioned float switch complete with new wiring harness. Survey the engine governor which has had some rather crude mods done to it and rob the old engine of the relevant parts or complete assembly if necessary. A recent setback to power unit build up was the disappearance of of the valve assembly that controls the load regulator complete with all it's pipework and fittings, however this has now been located and just awaits repatriation to Chinnor. The most heart stopping moment in recent months was a report of a generator fire. There was evidence supporting this theory but after cleaning it appeared it was an external source rather than electrically initiated exhaust spark lodged in oily waste or similar. It's been used in anger since with no apparent problems ... Fingers crossed on that one! Lots of small jobs remain to be completed none of which should present any significant problems other than investment in time. • Removal of the No2 engine exhaust stack for repairs to significant corrosion damage, a back-breaking roof off job. • Replacement of a couple of blowing cylinder head joints. • Replacement of No 2 vacuum brake exhauster due to a disintegrating commutator. 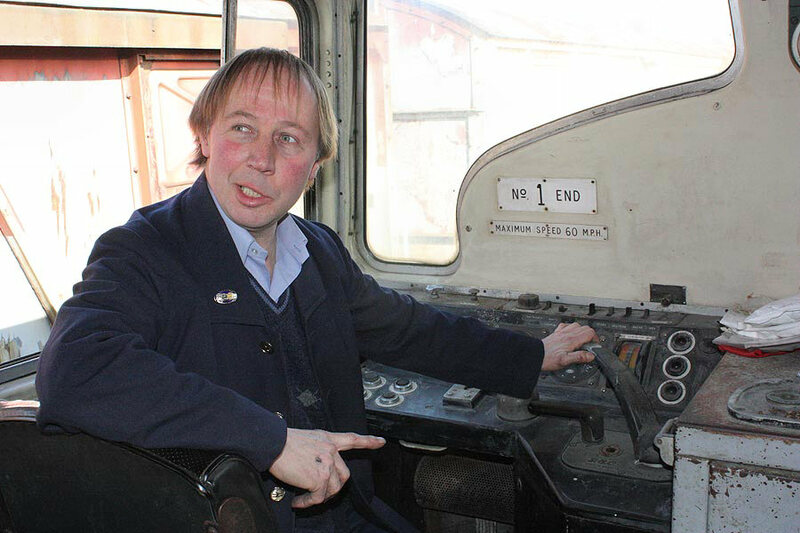 • Mr Guntripp has recently been tidying up & starting a repaint of the cab which is long overdue. 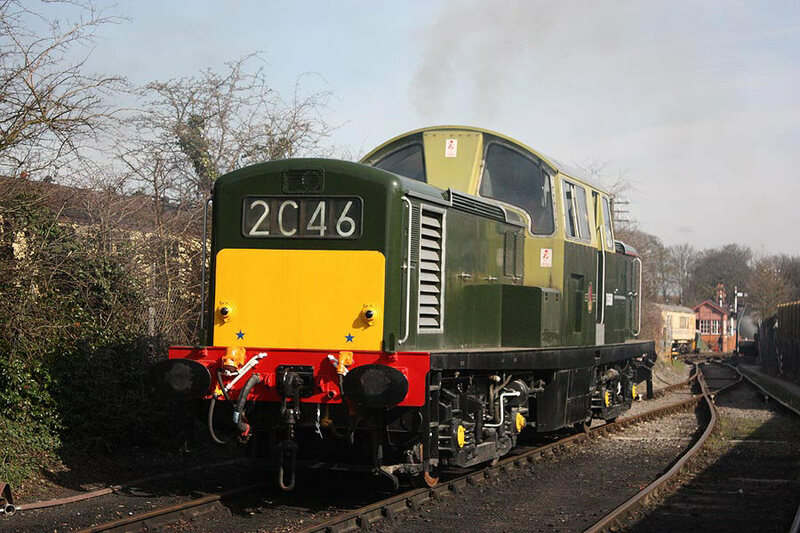 The loco is currently available on one engine and sees occasional use on service trains. The replacement engine has been mated to the re-wound generator and refitted to No1 end. 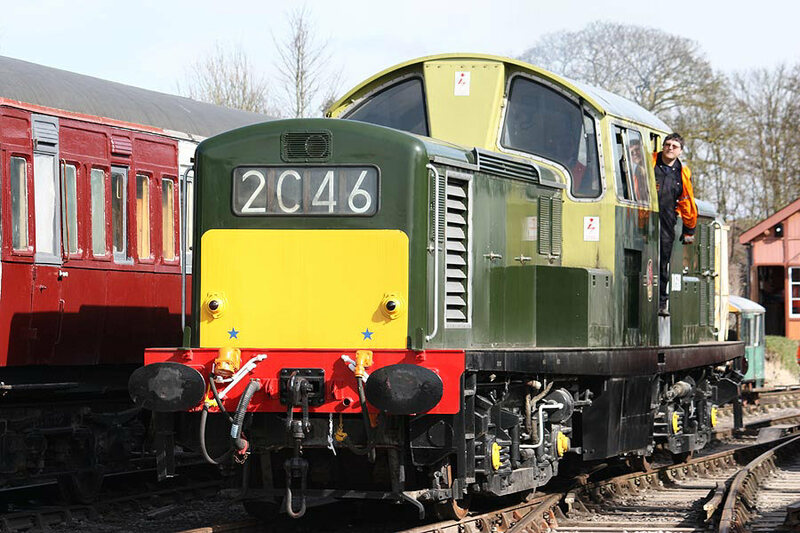 Conversion work to return this engine to railway standard and the re-coupling continues. Exhaust repairs are in hand and one of the air compressors is due to come to the workshop for repair/overhaul. 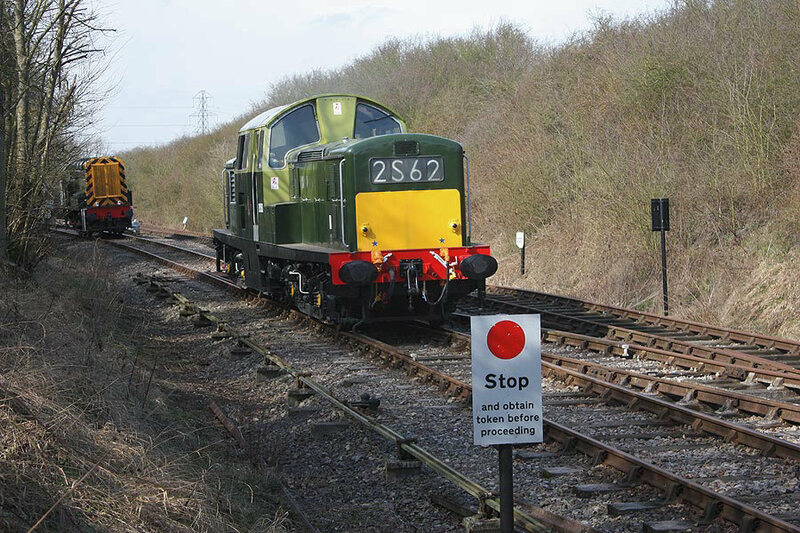 Many hard hours of work by Engineer Chris Hatton and the Clayton team were finally rewarded when D8568 made a triumphant return to passenger service working all the Diesel Turns on the Chinnor and Princes Risborough Railway over the 29th and 30th of April. 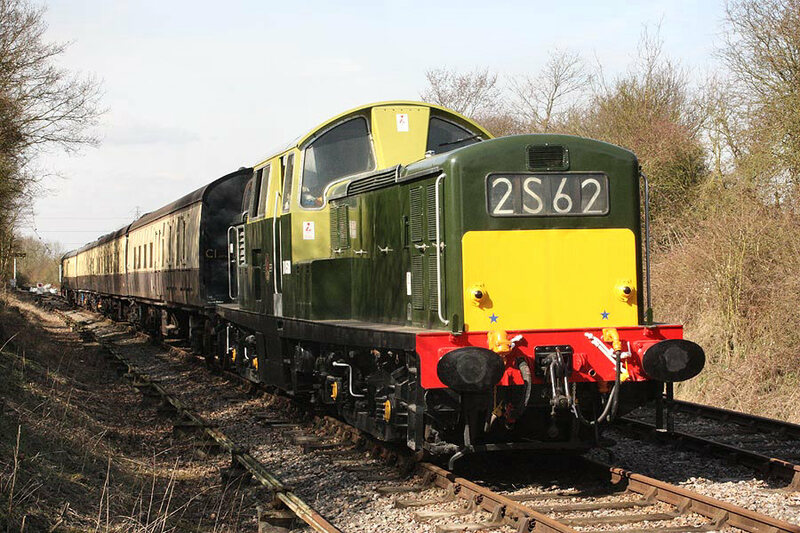 Following this successful return to traffic, D8568 will next will be starring at the Chinnor and Princes Risborough Steam and Diesel Gala on Sunday 5th June. 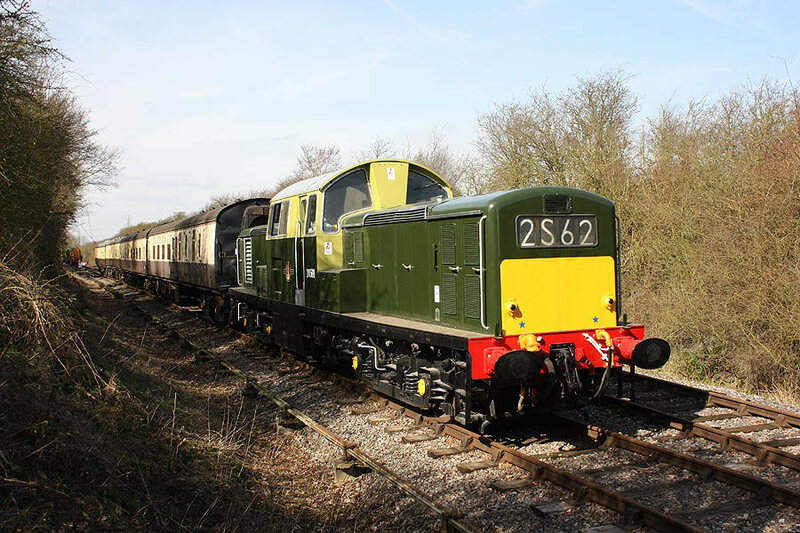 On Saturday 12th March 2011, D8568 made a series of Test runs from Chinnor to the Network Rail Boundary at Princes Risborough, three round trips top and tail with D3018 (08011), although on the first trip D8568 worked the train both ways as there was a double run-round at the Risborough end. 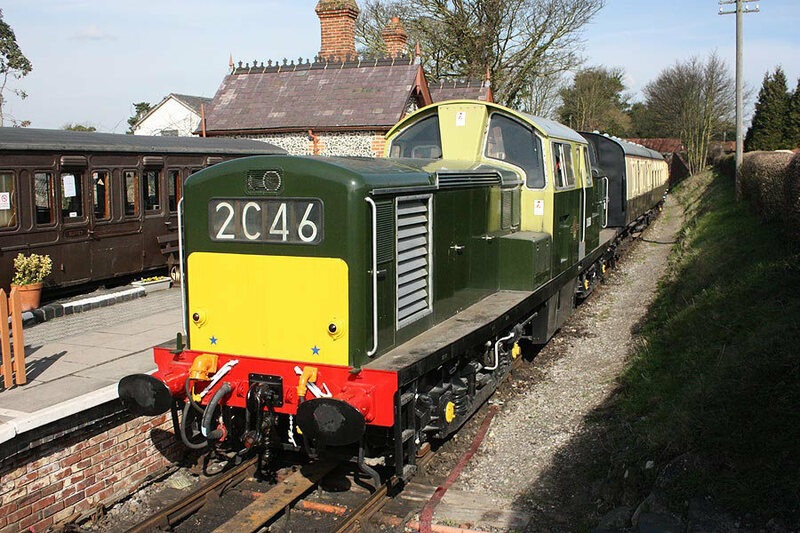 All test runs were successful and the loco will return to traffic working the Diesel turns six round trips on the Chinnor and Princes Risborough Railway on April 29th and 30th.